Yes, it is true. This Sunday is the deadline – according to most Poskim. Most everyone has heard of Tax Day. It is the colloquial way of referring to April 15th, the day that taxes in the United States are due. April 15th, however, has not always been the filing deadline. After the passage of the 16th amendment in 1913, March 1st was the date specified by Congress in 1913. It lasted only until 1918, when Congress pushed the date forward to March 15th. There it remained until the major governmental tax overhaul of 1954, when the date was again moved to the beloved (or hated) April 15th. Everyone heard of Tax Day, but few people have heard, lehavdil, of Maaser Day. What is Maaser day? Maaser, of course, is the giving of ten percent (or twenty percent) of one’s income to Tzedakah, charity. The Gedolei HaPoskim recommend that when one gives Maaser the final reckoning should be done on one specific day of the year, primarily it should be Erev Rosh HaShana – this upcoming Sunday. Which Poskim write this? It is Rav Chaim Benveniste, author of the Knesses HaGedolah commentary on Shulchan Aruch (YD Siman 259); Rav Yair Bacharach, author of the Chavas Yair Responsa (#224), Rav Tzvi Hirsch of Vilna, author of the Bais Lechem Yehuda commentary on Shulchan Aruch (also 259), and the Chofetz Chaim himself (Ahavas Chesed Vol. II 18:2). Why should it be done on Erev Rosh HaShana? It is because on Rosh haShana, it is decreed from above how much money we will be earning in the upcoming year. The idea, therefore, is to square things away before the New Year begins. This is not to say that the paying of Maaser should be delayed until Erev Rosh haShana. The Shla HaKadosh wrote (Chullin page 84) that as soon as one has made the profit on a business deal or received income he should separate it immediately. It should be in a separate wallet or account labeled “Maaser.” Other Poskim have followed the view of the Shla HaKadosh (See Rav Blau zt”l in his Tzedakah UMishpat chapter 5 note 39). When dealing with produce, let us recall that there is such a thing called Maaser Rishon and Maaser Shaini. We know that there are three views in halacha regarding the obligation of Maaser, whether it is Biblical, Rabbinic or a strong Minhag. Most Poskim follow the third opinion in this regard. However, since Maaser of money is predicated upon Maaser from produce, if possible, it is recommended that one give Chomesh – twenty percent of one’s income rather than ten percent. It is interesting to note the view of the Noda BiYehudah who distinguishes between Chomesh Day and Maaser Day. he writes that if one gives Chomesh – then it should be done once per year. His view is that Maaser should be reconciled twice per year. However, no contemporary Poskim to this author’s knowledge have taken up the Noda BiYehudah’s position. Most readers will assume that the issue of Tax Day was just brought up as a hook for the topic of Maaser Day. This is not altogether correct, however. Rav Vosner zt”l (Shaivet HaLevi Vol. IX 201:5) deals with the question as to whether Maaser Day can be moved up to a specific day prior to Tax Day, since anyway that day is used to carefully look over one’s income. Rav Vosner responded that, in fact, a person may do so. Rav Avrohom Moshe Avidan in his Ahavas Tzedaka (4:77) cites this ruling of Rav Vosner and notes that his wording is indicative that he only permitted it on account of the fact that the person paying his federal taxes is carefully reviewing the figures on this day. However, it would not be permitted to move Maaser Day otherwise. The major question in the issue of Maaser is, “What if a person has two businesses?” Ca a person offset the losses of one of his businesses with the profits of his other business? In other words, if a person owns a summer camp and apartment buildings, do the losses incurred in one property offset the income made in the summer camp? There are three separate approaches in the Poskim to this question. 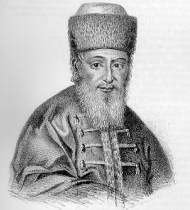 The Poskim who deal with this question are Rabbi Yaakov ben Yoseph Reischer (Bechofen) (1661–1733), author of the Shvus Yaakov, Rav Yechezkel Landau (1713-1393) and Rav Yaakov Katz (1616-1678) author of the Shaar Ephraim.We will discuss all three views. The Shvus Yaakov (Vol. II #86) is of the opinion that Maaser Ksafim is based upon the halachos of Tzedakah, and they cannot offset each other. When dealing with Maaser Ani in vineyards, one cannot, of course, exempt one vineyard just because he had a loss in a different vineyard. The same would apply here, argues the Shvus Yaakov. Thus, the first view is that one business does not offset the other business. The second view is that of the Noda BiYehuda (YD 198 Mahadurah Tanina) who writes that Maaser reckoning is done on a fiscal annual year basis. One year cannot offset another year, but it can offset different businesses within the same year. It should be noted that the Aruch haShulchan subscribes to this view (See AH YD 249:7). The third view is that of the Rav Yaakov Katz in his Responsa entitled “Shaar Ephraim” (YD #84). He indicates that Maaser is an immediate obligation in and of itself, rather than a yearly obligation. If he mixes the finances of both businesses, the Shaar Ephraim is of the opinion that the losses do offset profits. If the owner of both businesses knows the profits of one of the businesses beforehand, they may not be offset. The Eliyah Rabbah (156:2) seems to cite the Shaar Ephraim as halacha. So how do we pasken on this last and very important issue? Each person should consult his own Rav or Posaik on this matter, particularly, since the difference in views could be very significant. Rav Vosner zt”l ruled in Shaivet haLevi (Vol. V #134) that the halacha is like the Noda BiYehuda. The aforementioned Chofetz Chaim also seems to indicate that this is the final halacha as well. This was also the view of the Aruch haShulchan. May we all have a kesiva vachasima tova.